The original Wasatch dawn-patrollers wanted a lightweight, packable harness that would handle ski belays and rappels while pioneering today’s popular couloirs. They made it in to work at Black Diamond and designed the original Couloir Harness to perfectly meet those requirements. The latest iteration surpasses even the original goals, with a new construction that uses hydrophobic fabric and Fusion Comfort Technology™. An ingenious system prevents ice screws from clanging around, with slots on the leg loops that match up with Ice Clipper loops on the waist. If you plan on skiing steep lines with technical elements, the Couloir harness will comfortably improve your odds of success. Extremely light and packable with a low profile and without frills. Triple-weave webbing moves with you while being durably strong. Speed buckle makes for easy on/off while wearing skis or crampons. EVA foam insert and breathable mesh padding keep things comfortable. Ice screws can be clipped on the belt and secured with special leg slots. 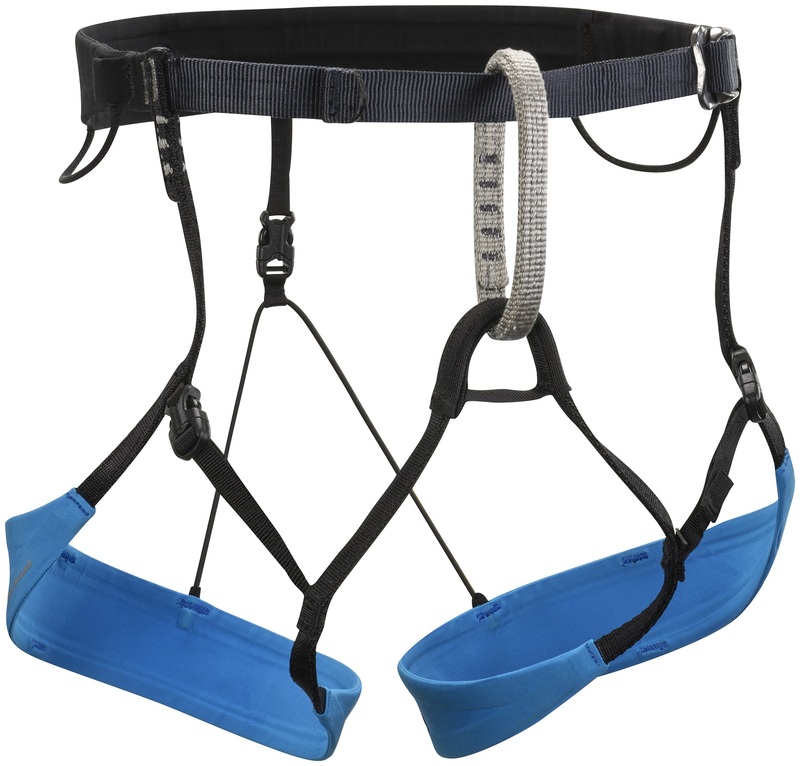 Full-strength belay loops can handle whatever you can handle. Two webbing gear loops can carry a small rack into the unknown. Makes for a great glacier harness when you need crevasse protection. Primary fabric is Bluesign® approved to appease Mother Earth. I'm a 33-34 waist and 6'4" tall (pure muscle...and some ice cream). Do you think I should go for the M/L or the L/XL? I would go with the L/XL. I am a 34" waist and run the L/XL and it works well. Hope this helps. Its decently lightweight, and works well for glacier travel, rappelling and the other usual lightweight duties. It's nice you can unbuckle the leg loops and put it on over ski boots. 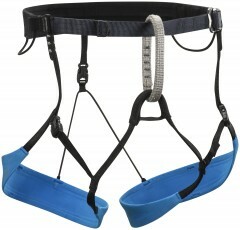 I spent awhile ice climbing with this harness, and came to the conclusion it doesn't work great for technical climbing. The gear loops are tiny (it accepts ice clippers which helps) and carabiner noses regularly snag. Also, the belay loop is not fixed on the waistband meaning that if you take a whipper theoretically you bend you back side to side which could result in a lot of damage. Took off a star because much lighter options that fill the same niche exist for the same price.